Confirmed for the announcement on May 16 in Valencia, Spain, we are getting closer to know the newest generation of the Zenfone line from Asus. Of course, this also makes the inevitable leaks and prior information revealed by certification bodies more common and recurrent, as has just happened again. The FCC (Federal Communications Commission) very recently granted certification to the ASUS_I01WD not yet released and not available for sales, but which we all know as its business name of Zenfone 6 or 6Z. The US body registration does not highlight many new features except small details such as 18W fast charging support and 802.11 b / g / n Wi-Fi. The same model number also appeared on the Geekbench and AnTuTu benchmark databases. 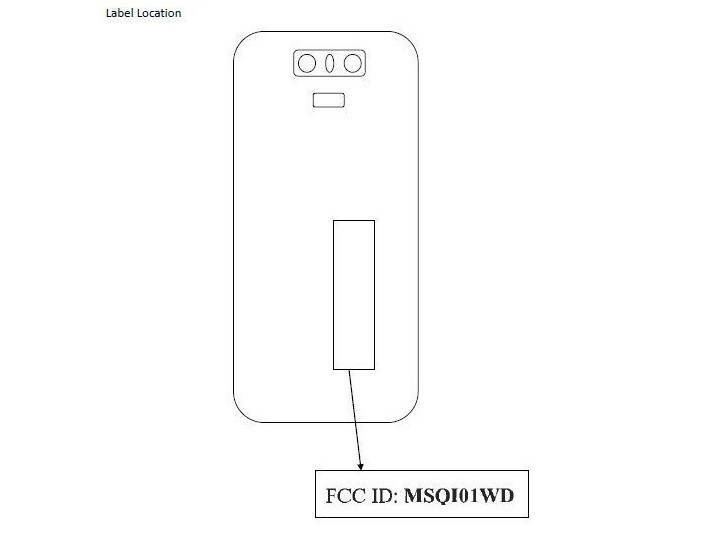 It is interesting to note the detail in the image above, which shows the location of the FCC label on the smartphone. It also ends up detailing the supposed location of the dual module for the rear camera and a possible biometric sensor just below. We do not know if this model displayed in the registry is just a prototype or if it is really the final device, which would ultimately disqualify the previous leaks that the device should arrive with three cameras and an in-display fingerprint sensor. Therefore, it is more likely that the photos and images displayed in the previous weeks are more accurate than the current record. But we’ve to wait for the final news that should come in the next few days.